$12.99 Buy Now Instant Streaming, Rental & Download! Stream or Download Bending Steel PLUS 30 minutes of additional content with the team and Chris! 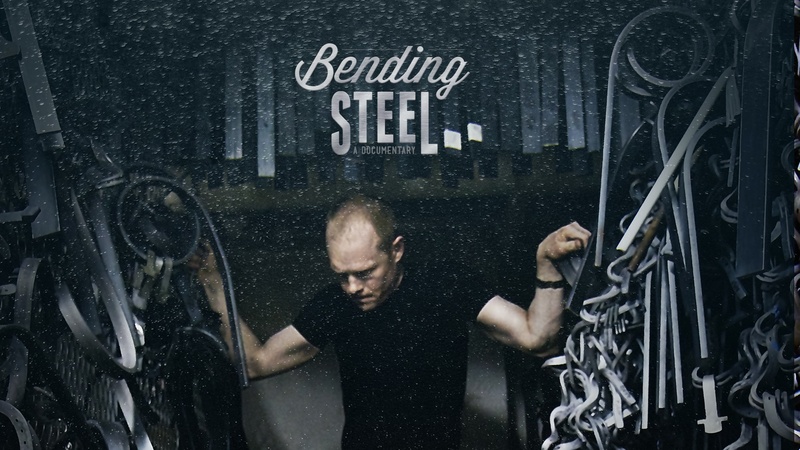 Watch the theatrical version of Bending Steel - available for streaming, rental or download and receive an exclusive pre-release "Chain Break Bonus" clip today! Bending Steel Free Holiday Stream 2016! Hi Friends, As we approach the close of 2016, it's with great excitement we announce a unique Holiday offer from Team Bending Steel. Specifically...THROUGH THE CLOSE OF 2016 BENDING STEEL IS AVAILABLE FOR FREE EXCLUSIVELY ON VIMEO. The offer lasts until January 2nd and we hope you share the word with anyone who didn't have a chance to see the film or, anyone who might want to see it again. Enjoy & Happy Holidays! A Holiday Gift from Bending Steel! Happy Holidays from BENDING STEEL! The holiday season is the time of giving – since you've enjoyed watching Bending Steel yourself, why not give the gift of a great movie? This movie! We’d love for you to share Bending Steel with your friends and family for the holiday and through VHX it’s now easier to send a gift than ever! Especially with a coupon code for our loyal fans. Just check out VHX’s instructions on GIFTING for the simple 5-step process, then visit http://www.bendingsteelmovie.com/ and use the special discount code Holiday15 upon checkout for 20% off the purchase for your lucky gift recipient(s)!